Karter Malcomson’s cherubic face, inquisitive eyes and wide smile are magnetic. 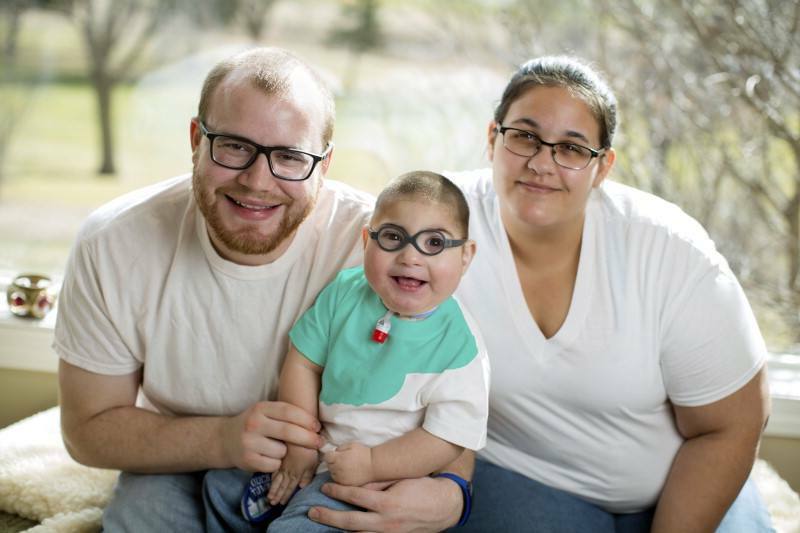 Behind them is a two- year-old boy with a rare disease that’s generated more medical mysteries in his short life than many face in an entire lifetime. His circuitous journey to a diagnosis took his case before the Functional Genomics Team– the A team of exome experts at Center for Individualized Medicine – that works tirelessly to solve rare and undiagnosed diseases. It was a path that began even before he was born. 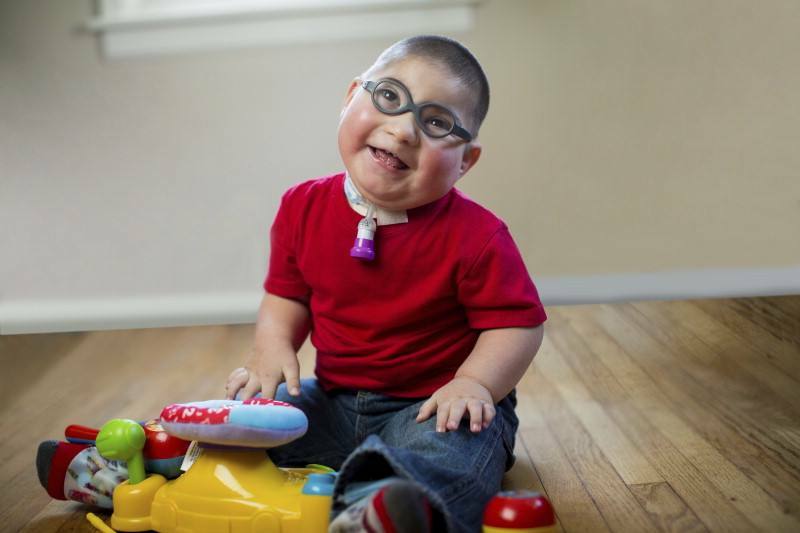 “When I got my first ultrasound, we noticed he was not growing as he should be. He had extra digits. When they tell you this, you never know what is going to happen,” said Kerrie Lemois, Karter’s mother. Reviewing the prenatal records, physicians from the Department of Clinical Genomics suspected a genetic link to Karter’s disorder. Upon his birth and evaluation, they quickly referred him for genetic testing. “Based on his medical history and deformities at birth, we immediately suspected the diagnosis was within a particular group of disorders. We knew he had several birth defects, but suspected there may have been other organ systems involved. Our studies revealed additional findings associated with a suspected group of genetic disorders, confirming that we were on the right path. 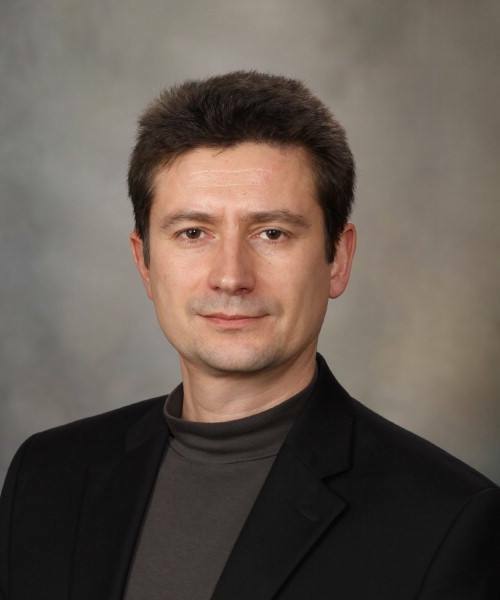 To confirm the diagnosis, we needed genetic testing,” said Pavel Pichurin, M.D., a medical geneticist. 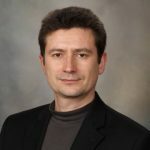 There are different approaches for genetic testing, and the choice of test can be driven by multiple factors, In this case, Dr. Pichurin ordered whole exome testing – a test of over 20,000 genes that today gives physicians and scientists the most information about health and disease. This testing identified genetic changes in both copies of a little-known gene. In order to prove that the identified DNA changes were related to his disorder, the Functional Genomics team applied an additional technology, RNA sequencing. RNA sequencing allowed the team to see if there were abnormalities in the messages that create protein in the human body. This strategy provided evidence that the identified DNA changes were causing genetic abnormalities, matching Karter to the cases in the research paper. That allowed for a diagnosis: Oral Digital Facial Syndrome Type 14. With a diagnosis, scientists and physicians are able to build information about what to expect in the future. They can put families facing this rare disease in touch with one another as a support group that can learn from each other.